Business Wire: Tessera announced its Imaging & Optics revenue was $9.5M in Q2 2010. This was up 43% compared to second quarter 2009 Imaging & Optics revenue of $6.7M. Q3 2010 Imaging & Optics revenue is expected to be approximately $10M vs $7M in Q3 2009. Still, there is some way to go to reach Hank's EDoF revenue target of $100M in 2011. PR-Newswire: Pixelplus revenue for Q2 2010 was US$5.6 million, compared to US$3.3 million in the Q1 2010, and US$3.6 million in Q2 2009. Net income in Q2 2010 was US$0.6 million. Gross margin for Q2 2010 was 33.6%, compared to 40.5% in Q1 2010. "We are pleased with the steady increase in our revenues in the second quarter and firmly believe that the Company will be able to improve our revenues in the second half of 2010 based on new design wins and business, especially in the security and automotive industries. We also are pleased to have more products in various stages of development and deployment than ever in our history," said S.K. Lee, CEO and Founder of Pixelplus. Business Wire: SiliconFile has selected the Analog FastSPICE (AFS) Platform for verification of its mobile image sensors. "We spend a significant amount of effort on block-level verification of our CMOS image sensors," said Do Yeong Lee, CTO at SiliconFile. 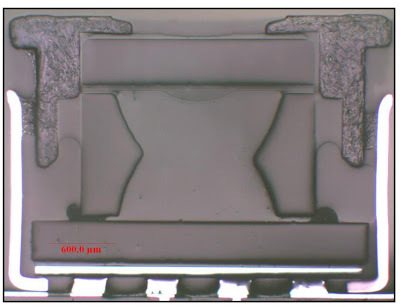 "After extensive evaluation, we selected the Analog FastSPICE Platform for complex-block verification of our image sensors because it delivered nanometer SPICE accurate results 5x-10x faster than traditional SPICE simulators." I hope SiliconFile did its evaluation work properly. There has been a big progress in speed of SPICE and SPICE-like simulators recently. Business Wire: TowerJazz's 0.18um process is used in Cypress 25MP VITA 25K industrial image sensors for the high-end machine vision market, the companies said. Terms of the deal were not disclosed but a Reuters source said that TowerJazz would reap tens of millions of dollars a year in revenue over the next few years. Globes sources told that the collaboration is worth several million dollars, but beginning next year will grow significantly. According to a report by Roy Szweda, RNR Associates, the forecast for image sensors used in the industrial market is expected to reach close to $840 million by 2014. PR-Newswire: In a rare appearence in the news Foveon announces it has been using Synopsys' Galaxy Custom Designer to desing its sensors, including 14MP one for Sigma SD15 DSLR, made in 0.18um process. Synopsys is relying on Open Access database for its PDK and it's not compatible with the dominating Cadence proprietary PDK format. Most of the foundry image sensor PDKs are not available in Open Access. It is not clear who made the translation work for Foveon. e2v has delivered over 150 CCDs for Gaia, a European Space Agency (ESA) mission due to launch in 2012. Gaia’s goal is to map the positions, parallaxes and movement across the sky of around 1 billion objects in our galaxy. The Gaia focal plane will be the largest ever developed, with 106 CCDs, a total of almost 1 Gigapixels and physical dimensions of 0.5m × 1m. The e2v CCD91-72 is 3 sided buttable, to minimise the dead space between CCDs when they are tiled together in the mosaic. 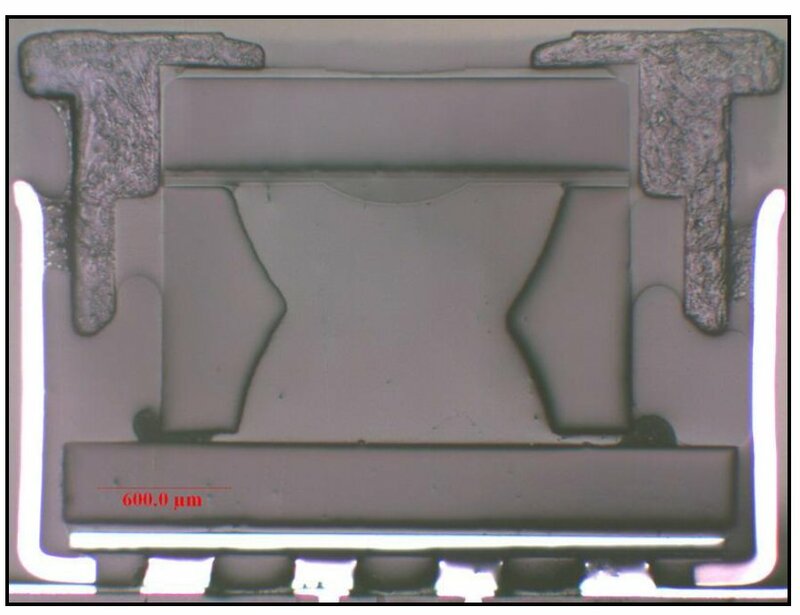 All CCDs have been through e2v’s back thinning process, so not only this array is the largest, it's also BSI. Via Electrons and Holes blog. We are pleased to announce the 2011 International Image Sensor Workshop (IISW 2011) to be technically co-sponsored by IEEE Electron Devices Society and Institute of Image Information and Television Engineers (ITE) in Japan. As you find in the description on the web, the hotel is located in Onuma Quasi-National Park, considered one of the three best scenic views of modern Japan and one of the most spectacular areas of Hokkaido. The hotel is surrounded by white birch and oak and is built to harmonize with the natural environment. As a resort hotel, there is a wide range of activities available along with a hot spring and fine dining made with local Hokkaido ingredients. Nobukazu Teranishi (Panasonic) and Junichi Nakamura (Aptina) will serve as General Co-Chairs, and Shoji Kawahito (Shizuoka Univ.) will serve as Technical Program Chair. The deadline of the abstract submission will be January 17, 2011 (Japan time). The First Call for Papers will be sent in a month or so. Also, for your information, the 2011 IEEE Symposia on VLSI Technology and on VLSI Circuits will be held in Kyoto, Japan, following this Workshop, from June 12 through June 17, 2011. Please forward this email note to any and all your colleagues who you think might be interested in this workshop. We will try to make the coming Workshop informative and beneficial for your research and development work. Thank you for your cooperation in advance. 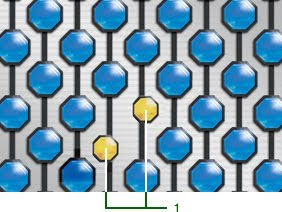 Pixels used in the phase detection AF are marked by 1. Fujifilm does not say how many pixels are entirely devoted to AF. It is not clear why they appear smaller too. Update: DPReview has a detailed explanation of how Fujifilm phase detection AF works. 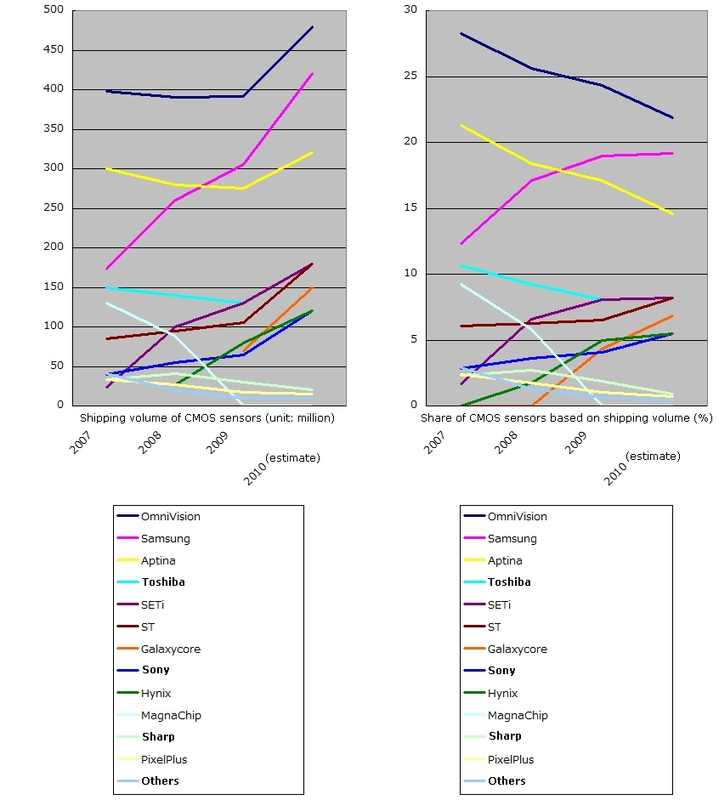 It looks like Samsung is a big winner this year with its market share approaching Omnivision's. SETi market share has stabilized this year, while Galaxycore's rise mostly comes at Omnivision's expense. Via Japanese Image Sensor blog. Hynix July 2010 Newsletter reports that the company's VGA sensors are already being supplied to major notebook models and their "performance and image quality are tested through a strict evaluation process". Hynix first targets Taiwan mini notebook market and plans to expand gradually in high cost notebook segment. Currently only 1/10-inch 2.25um pixel VGA sensor is in mass production, while 1MP/2.0um and 1.3MP/1.75um sensors are under development. Nokia Conversations, Stanford University News, Physorg report that Staford "Frankencamera" platform is now available on Nokia N900 Linux-based smartphone. Stanford professor Marc Levoy, who leads the project says: "We are releasing code so that people can create new imaging applications on their Nokia N900s". The platform has a number of image processing add-on subroutines, such as Low-light Assistant to avoid the choice between a quick exposure that will look sharp, but dark and noisy, and a long exposure that will have enough light, but likely be blurry. Instead, the app captures two images in rapid succession and then automatically combines them, resulting in a photo that is better than the both. HDR Capture add-on takes up to three images with different exposure settings and combines them to an image that shows the details of both the foreground and background objects, without under or over-exposing any of them. Now "Frankencamera" is in the public domain, and the hope is that Nokia developers and open-source community will work to create a whole new class of programmable camera applications which will be gathered together on the project web site. Nokia Research Center in Palo Alto, Adobe, Kodak, HP and the Walt Disney Company funded the project. Meanwhile, the Staford researchers have been awarded a $1M grant from the NSF, shared with colleagues at MIT, to begin making professional-style SLR cameras, equipped with the software platform, for free distribution to computational photography professors around the country. Via Electrons and Holes blog. There is also a reference to Pixim's Youtube channel with great HDR imaging examples. MarketWire: DALSA announced expanded capabilities including BSI in custom image sensors for aerospace applications in earth observation and remote sensing. DALSA's Multispectral and Hyperspectral "push-broom" linear and TDI sensors capture images from not only the traditional RGB visible color bands but also a number of near-infrared bands in a single highly compact and cost effective package. New custom BSI option is available for the improved QE. High resolution panchromatic CCDs and CMOS sensors with over 100MP resolution and active pixels covering areas 10cm by 10cm are available. 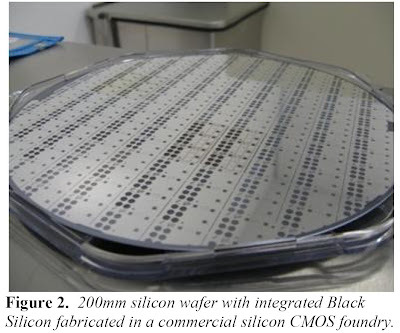 Higher resolutions are possible, limited only by the size of the silicon wafer. BSI option is avalable for these too. ElecroIQ article by Phil Garrou quotes Markus Wimplinger, corporate technology and IP director for EV Group, saying that EVG's 300mm 3D IC line is being used in mass production of ST Microelectronics' CMOS image sensors. A year ago there were reports of EVG installing TSV pilot line at ST Crolles facility. Brewer Science also has been involved in these works. The VLSI Systems Center/ Ben Gurion University, P.O.B. 653 Beer-Sheva, Israel. Dept of Electrical and Computer Engineering, University of Calgary, Alberta, Canada. Pixel crosstalk (CTK) consists of three components, optical CTK (OCTK), electrical CTK (ECTK) and spectral CTK (SCTK). The CTK has been classified into two groups, pixel architecture dependant and pixel architecture independent. The pixel architecture dependant CTK (PADC) consists of the sum of two CTK components, i.e. the OCTK and the ECTK. This work presents a short summary of a large variety of methods for PADC reduction. Following, this work suggests a clear quantifiable definition of PADC. Three CMOS Image Sensors based on different technologies were empirically measured, using a unique scanning technology, the S-cube. The PADC is analyzed, and technology trends are shown. The crosstalk is measured for 3.2, 2.2 and 1.75um pixels. There is also a great pixel crosstalk bibliography at the end of the article. "SiOnyx has developed a next generation silicon based photodetector with spectral sensitivity from 350 to 1300 nm. By doping silicon with sulfur using femtosecond laser processing, we enhance the spectral sensitivity of silicon enabling high performance infrared detection on a CMOS compatible chip well beyond the bandgap cutoff of traditional silicon. These detectors exhibit enhanced QE, photoconductive gain, (with responsivities in excess of 100 A/W) and compelling low noise performance. 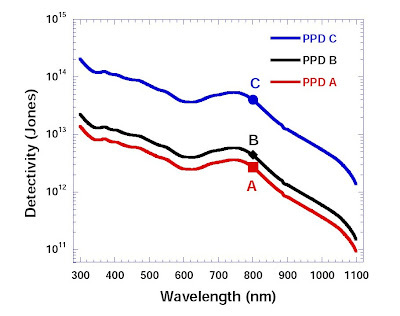 Absolute noise characterization coupled with spectral responsivity characterization indicate measured detectivity (D*) of 1x10^14 Jones at 940nm, roughly a factor of 10 higher than the best silicon photodetectors. Operating at mere 3V these devices rival avalanche photodiodes at much lower power and bias. When applied to imaging platforms, this detector will enhance visible light imaging and will enable silicon to become the next generation nightvision detector, outperforming incumbent technologies in nearly all nighttime light conditions." e2v announced that on June 26, 2010 CMOS sensors, assembled and qualified for space applications by e2v, were launched into space onboard the Communications, Oceanography and Meteorology Satellite (COMS-1), South Korea’s first weather communications satellite manufactured by Astrium. The 2 Mega pixel COBRA 2M CMOS image sensors were developed by Astrium and the circuit designed by ISAE-CIMI (Institut Supérieur de l’Aéronautique et de l’Espace). e2v utilised its space-dedicated industrial manufacturing capabilities to package, space qualify and deliver “flight model“ sensors. The imaging arrays will provide multi-spectral data to detect, monitor, quantify and predict short-term changes on the coastal ocean environment around Korea. NanoWerk: A new Collaborative research project funded by the European Commission in its Seventh Framework Programme for research, technological development and demonstration activities (2007-2013) was launched in June 2010 under the coordination of the Politecnico di Milano, Dipartimento di Elettronica e Informazione. The project "MiSPiA" (Microelectronic Single-Photon 3D Imaging Arrays for low-light high-speed Safety and Security Applications) will be funded for € 2,632,854 for 3 years. MiSPIA aims at two 3D applications: high frame-rate, short-range (10-50m) 3D ranging systems for automotive prompt intervention for front- and back- pre-crash safety systems; and multi-spectral long-range (200-1,000m) 3D ranging systems for security surveillance. MiSPiA aims to provide simultaneously both high frame-rates and single photon sensitivity chips with monolithic integration SPAD pixels and in-pixel intelligence able to process at the pixel-level intensity-data and depth-ranging information. On July 12 and 13 2010, more than 20 representatives of the MiSPiA consortium will meet in Milan for the project kick-off meeting. "The first thing we did was throttle back the edge enhancement to a point where it’s almost disabled. In video – under good lighting – we completely disabled noise reduction. I think it’s pretty unheard of for such devices to not be running any noise reduction. But it’s testimony to the great optics and superior sensor." "Apart from disabling various artificial enhancers, we also carefully consider how we reproduce colour in certain environments. Here’s two examples. In candle-lit scenes, you remember the warmth of the candle light. In snow scenes (my Finnish colleagues know this far better than I do), people tend to remember the bluish tint to the snow caused by the blue sky. In these situations, rather than correcting to a theoretical perfect white balance, we tune it to how you remember it. To achieve this takes time and many rounds of tuning, testing, retuning, testing, etc." The official untouched sample pictures demonstrating N8 approach are also shown in the blog. Update: A shorter version of this video was published on Youtube by Scalado. Dongbu is planning to spin-off its image sensor design group. After few years of trying the group appears to be unable to come up with competitive products. So Dongbu is looking for external investors in hopes that the group would be more successful as an independent entity. SMIC is running close to the full capacity on CIS process, filled by Galaxycore orders. Sony has been demoing 1.1um pixel sensor to its potential customers since February 2010. The first response on image quality was quite positive. OmniBSI-2 1.1um pixel QE is reportedly "higher than 55%"
All the rumors are unconfirmed and unofficial. Please treat them accordingly. Marketwire: Lattice and Helion announced IP cores for the video security and surveillance camera market. Targeting the LatticeXP2, LatticeECP2M and LatticeECP3 FPGA families, Helion has demonstrated its IONOS video pipeline IP and Vesta evaluation platform. Helion offers a selection of video pipelines from VGA to 12MP, including 1080p60, all the way through high resolution advanced HDR color pipelines. Depending on the pipeline selected, it will consist of a number of individual video processing IP cores, such as defective pixel correction, logic-efficient 3 x 3 De-Bayering, high quality 5 x 5 De-Bayering, color-correction matrix, gamma correction, auto-exposure, auto-white balance and more. Working with an Aptina A-1000 image sensor, Helion IP can deliver a scene dynamic range of 120dB and a system dynamic range up to 170dB. A linear dynamic range of approximately 130 dB was achieved. 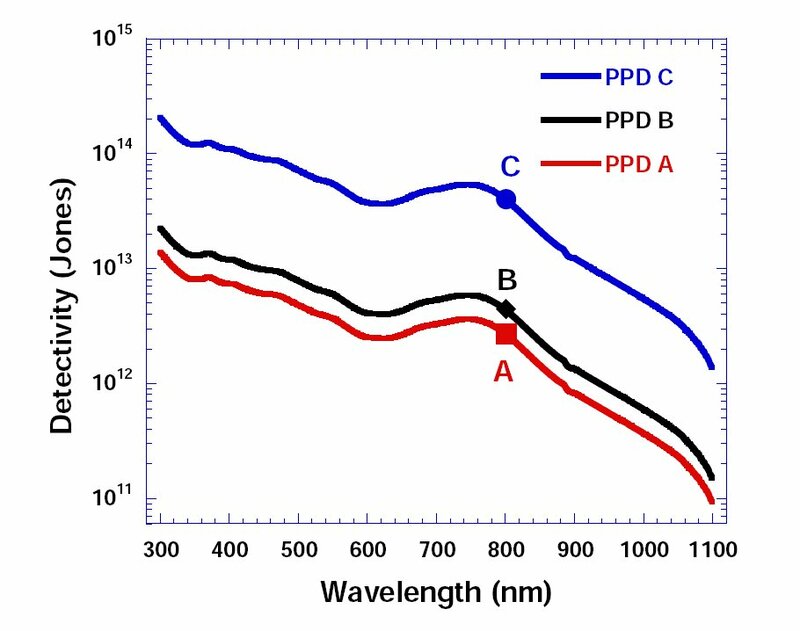 The article mentions that polymer detector spectral response can be extended into NIR range up to 1450nm. "If the competition in imaging devices were strictly based on volume and cost, our approach wouldn't succeed. We don't have the large-scale fabs that our rivals do, and we won't build them. Fortunately, we can compete in device quality, and we can continue to add functions that make our customers happy." "As long as a direction exists for evolution, like image quality or functionality, we will continue to lead the industry... Our basic stance is to differentiate our products through image quality, and we plan to handle new demand where this stance pays off." "I said 60 frames/s, but the human eye seems to be able to tell the difference up to about 240 frames/s, and I wouldn't be surprised if that stimulates demand for even higher frame rates." "Q: What is the revenue breakdown between CMOS sensors and CCDs for Sony's imaging devices business? A: About half and half, but I think the weight of CMOS sensors will increase." "Q: I have heard of experienced semiconductor engineers transferring into the Sony imaging devices group. A: ...Thanks to the strong support of the Sony head office we've been able to fill our personnel roster with top-quality people, but I could use even more." Thanks to Electrons and Holes blogger who spotted the article. Albert Theuwissen continues his series of articles on PTC interpretations. The latest one explains PRNU and DSNU influence on PTC.